This is my best friend on a very tall ladder in flip flops, trying to paint the eves of the 100 year-old pump house on our farm. And below her is my Uncle Lucky and my son Ben. It was Lucky's idea one day last summer, about 6 months after my mom died. He said to me: "You know, you outta paint the well house, it looks so cute when it's painted." It was twelve years ago when we last painted the well house. My grandpa died, leaving the farm to my mom and my aunt. My mom moved to the farm and was also going through an awful divorce with my dad. 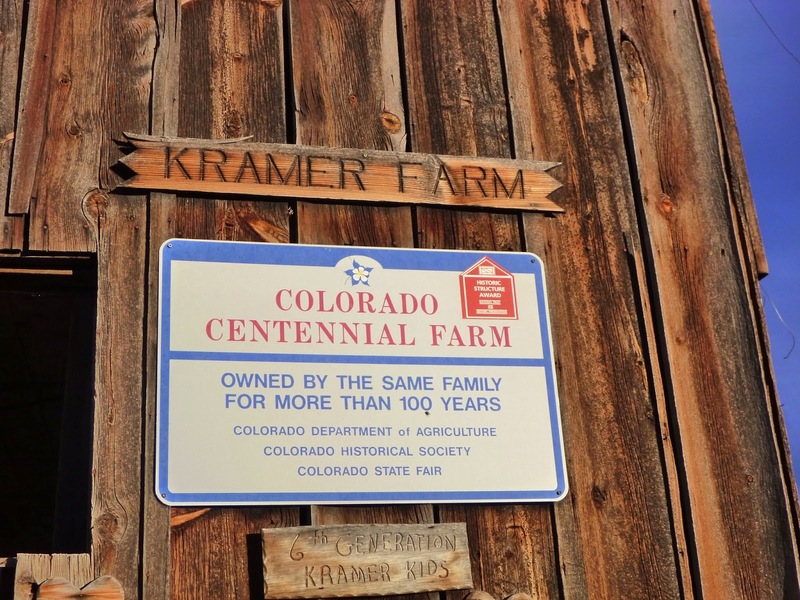 Our farm, which she and my aunt battled so hard to save after Grandpa died, has been in our family for over 100 years. Twelve years ago it was Mom's idea to paint the pump house, as a collective therapy session. Not only was Mom going through the divorce but Scott and I had just lost our daughter, Anneliese, the winter before. I was not functioning well. Truth be told, I was not functioning at all. So it was good that anything could get me out into the sunshine, it was an escape from my own thoughts for awhile. 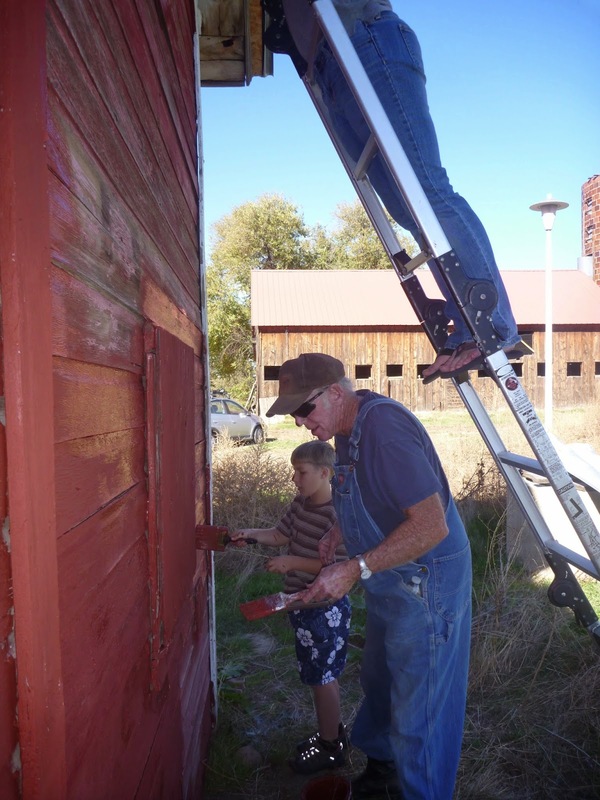 Last time it was Lucky, Mom and I painting the pump house. 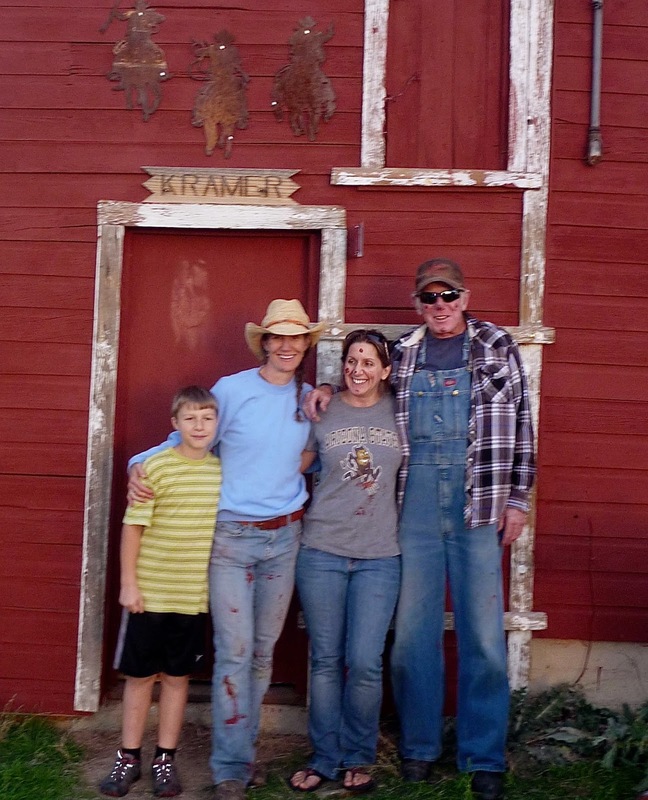 On this day it was my best friend Tracy, my 9 year old son, Lucky and I.
Painting the pump house is like passing the torch or changing of the guard. There is so much symbology in this simple act. 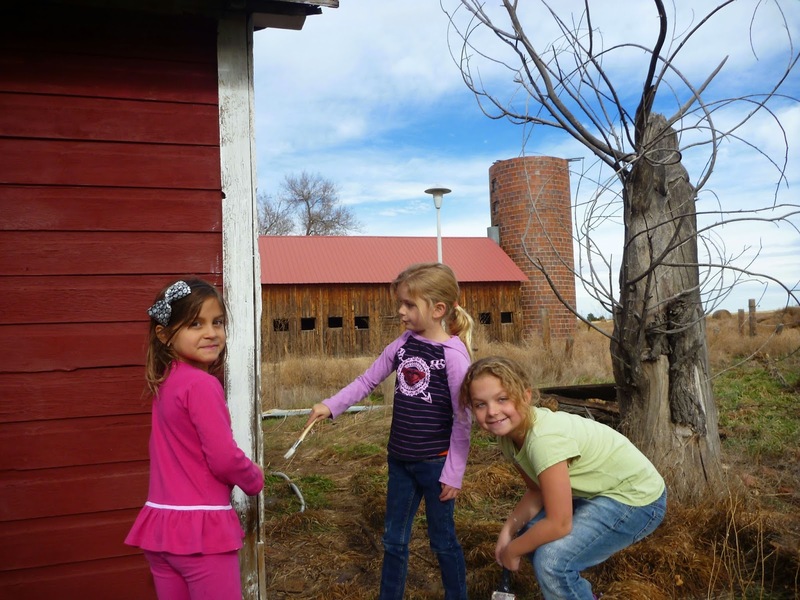 It's another generation taking care of the farm that we all love so much. 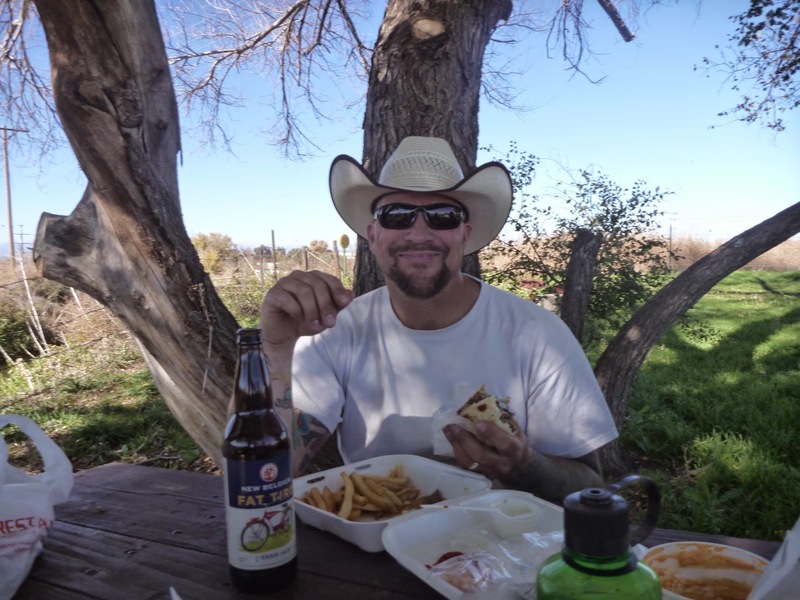 I visit a number of ranches each summer for my work. 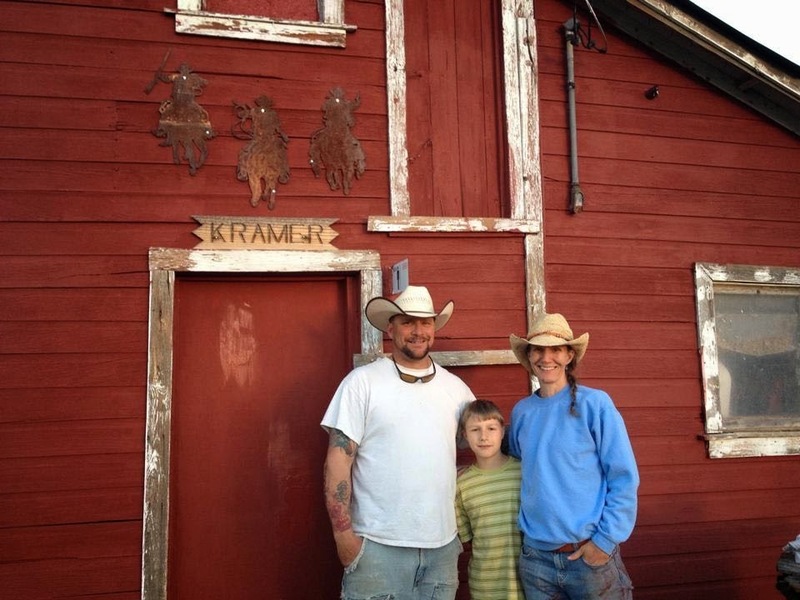 When a ranch changes hands through a sale or the death of an owner, there are always changes. No matter who the new landowner is, change is inevitable. In almost every case, the changes to the land, the buildings, the ranching or farming operation are good. A new owner is invigorated and inspired by their love of whatever special place it might be. In our case my brother and his wife were able to move to the farm and they have lovingly restored the farmhouse that my grandpa built. My brother is also making improvements to some of the outbuildings. It wasn't that Mom didn't want to make these improvements, but she needed to spend her hard-earned retirement playing golf, enjoying her grandkids, and working in her wood shop!! When we were painting, Lucky dubbed me "Kramer" - which is what he always called my mom. He's called me "Grandbaby" all my life. He's been our neighbor on the farm since before I can remember. He is our honorary Uncle Lucky and actually, we love him all the more since he's not related to us! I suppose that being 45 maybe it's time I'm not Grandbaby anymore. And calling me by my mom's nickname (her maiden name and the name of our farm) is about as high an honor as I can get. Well, I'll be damned I thought, I'm Kramer now..... Will my kids and their kids and their kids and their kids paint this pump house until it falls down? Truly the paint is the only thing holding the thing together. 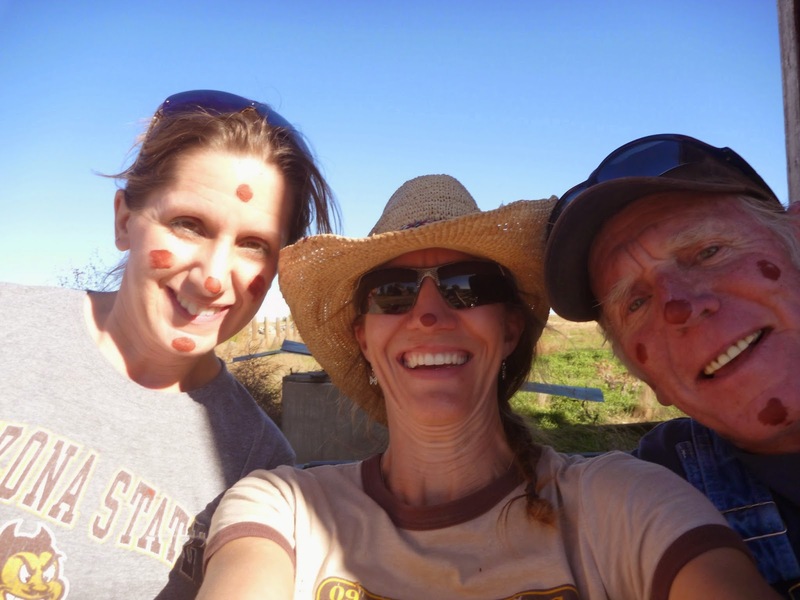 It was such a fun day painting the pump house together, and just what we all needed. 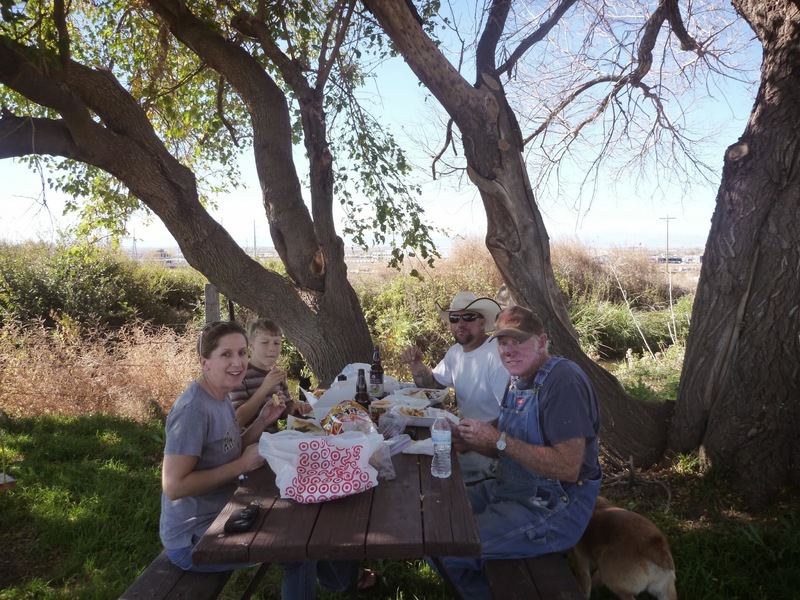 We stopped in the middle of the day to have a picnic at mom's grave under the mulberry tree. Tracy brought out some gyros from the Greek bakery in Denver and we had ice-cold Fat Tire beer. Mom may have thought she was going to rest in peace, but now our favorite place to hang out is where we buried her ashes. Her 'headstone' is her childhood tricycle. We were such dopes, we painted the walls of the pump house first - barn red. Then we ran out of time to paint the trim white. 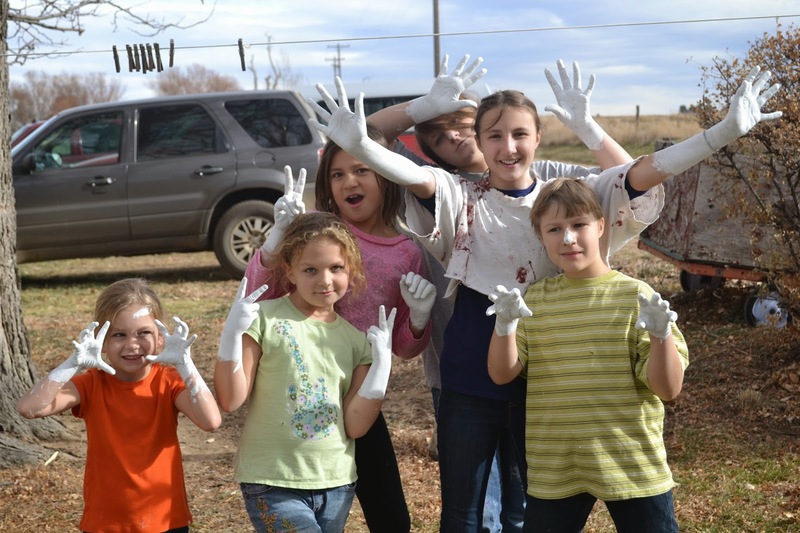 So on Thanksgiving Day when all our cousins, aunts, and uncles were out for our traditional old-fashioned farm Thanksgiving, I corralled the kids and gave them paint brushes. There ended up being more white paint on the red paint than on the trim. We had to go over the walls again with the red -- but it was a Thanksgiving the kids will never forget. My mom would have loved it. The kids finish up the job on Thanksgiving Day. Mom had great memories and stories about the pump house. In the summer when they were picking corn, Grandpa kept watermelon in a bathtub with ice so that when they were done sacking corn they would all get delicious, cold watermelon. Dave at the picnic spot under the mulberry tree, where Mom's ashes are buried.